Henry B. Reiff, Ph.D. is a writer, public speaker, researcher, and leader in the field of learning disabilities and the community. 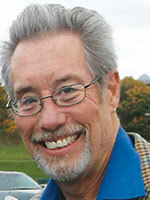 He has published numerous articles on adults and adolescents with learning disabilities and has written or co-written four books, including Exceeding Expectations: Successful Adults with Learning Disabilities, an American Library Association “Top 20 LD Resource.” His most recent book is Self-Advocacy for Students with Learning Disabilities: Making It Happen in College and Beyond. He has given presentations and workshops across the country. Currently a regular blogger on the popular website, FriendsofQuinn.com, Dr. Reiff continues to focus on promoting positive outcomes for persons with learning differences. A faculty member in special education at McDaniel College since 1989, Dr. Reiff has served as Dean of Student Academic Life and Dean of Graduate and Professional Studies for 19 of those years. He is currently Professor of Education and Coordinator of the Graduate Program in Special Education at McDaniel. He regularly counsels young adults with learning differences. He and his wife, Jacki, reside in Westminster, MD with their two children and two dogs.